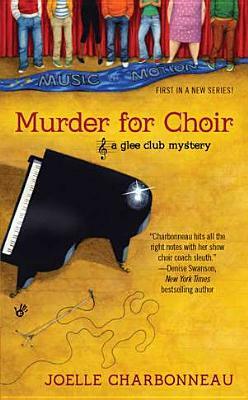 From the New York Times bestselling author of the Testing trilogy comes the first novel in the pitch-perfect Glee Club mystery series. Especially now that her best young male singer is suspected of killing the arrogant coach of Prospect Glen’s fiercest rival choir. For Paige to clear his name, she’ll have to sort through a chorus of suspects—and go note-for-note with a killer who’ll do anything to knock her out of the spotlight for good. Joelle Charbonneau is the New York Times and USA Today bestselling author of the young adult novels Dividing Eden, Need, and the Testing trilogy, as well as the Glee Club mystery series. She is also an entertainer who has performed in a variety of operas, musical theatre, and children’s theatre productions across the Chicagoland area.